Making the decision to purchase a safety barrier for your Las Vegas swimming pool or spa is a wise and responsible decision. By contacting Safe Defenses, you have taken the important step towards protecting your children and pets from potential danger. Drowning can occur in as little as three seconds and is the leading cause of accidental death in children under five years of age. Additionally, there are thousands of young victims of near drowning who require emergency room treatment, many who can potentially suffer from permanent brain damage. A majority of children who are involved in these tragic accidents are only missing from sight for less than five minutes and were last seen inside the home. While there is no substitute for adult supervision at all time in your Las Vegas pool or spa, a safety net from Safe Defenses provides a necessary layer of additional protection between your child or pet and your pool and helps to guard against any disasters. Your Safe Defenses representative can help you to make an informed decision as to which type of defense you need for your specific pool. Let us provide you with peace of mind and allow you to maintain the enjoyment of your pool or spa. Safety nets provide a unique solution to preventing infants and toddlers from entering the pool water unseen or unheard. 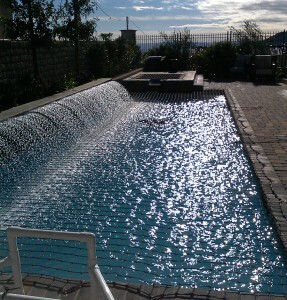 Safety nets provide a safe, secure barrier while maximizing the available backyard space that we so covet in Las Vegas. 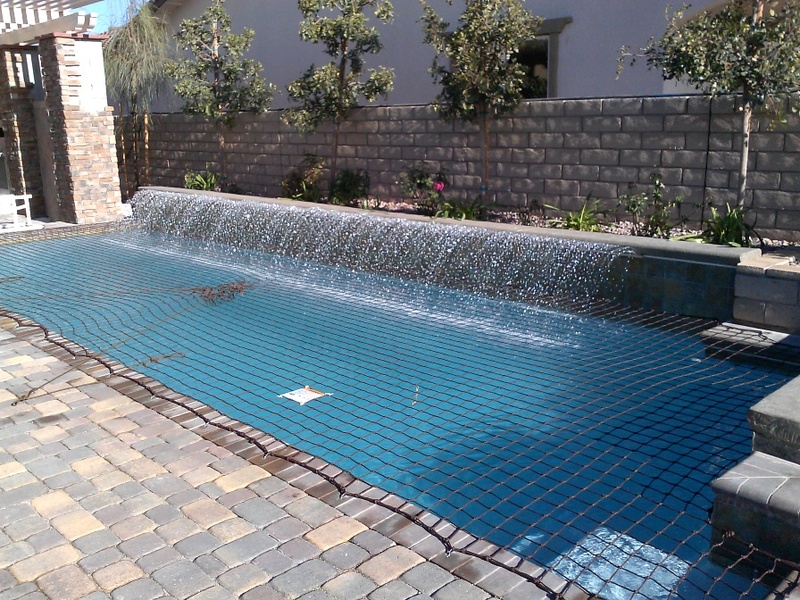 Our safety nets still allow you to maintain the view and ambiance of your swimming pool area. The square openings are too small for a child’s head or body to fit through and too large for them to walk, play, jump or stabilize themselves on the net. One adult can remove or replace a typical net in just a few minutes. A series of pulleys is built into the center of the net. By loosening the pulley rope, the tension is released and the net is easily removed. Just unhook the clips and roll the net onto the portable roller. It is that easy! Simply reverse this process to place the net back onto the pool. We know that there is a lot of people that you could choose for your safety net needs. The main reasons our customers choose Safe Defenses is safety, selection, savings and service. Safety is our number one concern. Our products have been developed and tested to exceed industry standards and we only provide you with the highest quality of products. Our nets come in a selection of styles and strengths with additional features that aren’t offered anywhere else. Our ratchet and core-drilled anchors are among our unique features. Let our Safe Defenses technician come to your pool and discuss your specific safety needs. We can show you why a Safe Defenses safety net is your best choice for the safety of you and your family. Your net is installed by a trained professional and comes with a LIFETIME manufacturer warranty. Safety nets come in black, blue, brown and beige.